In this article, our Industrial Automation and IoT developers have helped us understand various features of a SCADA system and what are its applications in Home and Industrial automation based IoT projects. We will also share brief information about technologies, frameworks and platforms that power a fully-functional SCADA system. SCADA stands for Supervisory Control And Data Acquisition. SCADA software system is a device monitoring and controlling framework. The supervisory control includes, taking action and control through remote locations for various control mechanisms and processes. Various kinds of data can be acquired from network of devious (connected through wireless/wired communication systems) for storage, processing and analytics to aid decision making. Frontend of a SCADA software solution is a graphical user interface (GUI/UI). In a nutshell, a SCADA software solution is a real time monitoring, supervision and control system from remote and/or local physical location. The User Interface(UI) of Mobile App or Web based dashboard represented above is the HMI of the SCADA system. This, along with the backend business logic, database (cloud server) and a Gateway constitutes of a SCADA solution for control and monitoring of devices in an IoT network. The IoT gateway ensures compatibility between IoT sensor network and cloud server. Through the gateway, the sensor data is stored in the cloud server. The cloud server is the hosting spot for the algorithms that implement the business logic. The sensor unit detects the change in the environment like change in temperature, sound and also acts as a data accumulating unit. There can be a number of devices or machines connected within a SCADA solution based IoT project. For an instance, in case of home automation system, various home appliances such as AC, lights, refrigerator can be a part of connected smart home. Hence SCADA solution is an intelligent software system with an intuitive UI (for data representation) connected with cloud server for data processing and predictive and descriptive analysis. 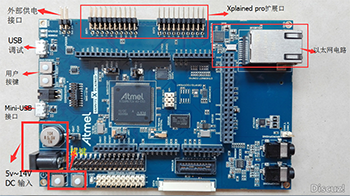 Usually Embedded Linux boards, Embedded boards, Embedded single board system, Embedded cellular modem perform the low level tasks. Provides a single and independent solution for many different architectures and development tools. Is known to be reliable. Confidence is assured by the activities undertaken by the SafeRTOS sister project. Is feature rich and still undergoing continuous active development. Has a minimal ROM, RAM and processing overhead. Typically an RTOS kernel binary image will be in the region of 6K to 12K bytes. Is very simple – the core of the RTOS kernel is contained in only 3 C files. The majority of the many files included in the .zip file download relate only to the numerous demonstration applications. Is truly free for use in commercial applications (see license conditions for details). Has commercial licensing, professional support and porting services available in the form of OPENRTOS from our partner WITTENSTEIN high integrity systems. Has a migration path to SafeRTOS, which includes certifications for the medical, automotive and industrial sectors. Is well established with a large and ever growing user base. Contains a pre-configured example for each port. No need to figure out how to setup a project – just download and compile! Has an excellent, monitored, and active free support forum. Has the assurance that commercial support is available should it be required. Is very scalable, simple and easy to use. FreeRTOS offers a smaller and easier real time processing alternative for applications where eCOS, embedded Linux (or Real Time Linux) and even uCLinux won’t fit, are not appropriate, or are not available. Finding the right embedded hardware with LTE modem and software platform for a chosen semiconductor SoC takes time and patience. especially when you need a custom hardware that fits you requirement and also you want to make sure to speed up software development process. if you want a really good fit and need the solution to be highly optimised for cost and performance. To complicate matters even more, it is difficult to predict what the end-performance will be for your product early, at the start of your project. With all these demands and variables, choosing the right combination of OS, middleware, and silicon can be problematic. At SSLA Embedded, we have made available multiple known-good combinations where we have ported and optimised embedded operating systems and middleware onto specific hardware platforms. additionally apart from that at SSLA we can listen to your need and implement your customised hardware software that fits your requirement. For example, the SCADA hardware platform makes a very versatile and capable target embedded evaluation board, particularly when combined with a multi-featured Linux OS. 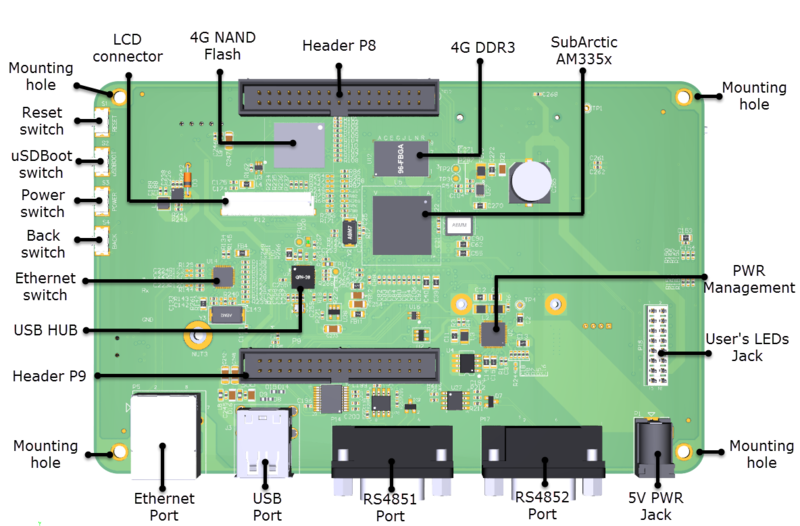 One specific target for the SCADA embedded board with LTE modem is automotive design prototyping where the processor speed, flexible I/O and serial interfaces, CAN support. This is particularly true in ADAS (Advanced Driver Assistance Systems) or Control system applications where deterministic scheduling through the use of an Linux OS combined with flexible interfaces to the vehicle network are needed. SCADA device can also be expanded using an P8 and P9 header interface in order to accommodate extendable prototypes. SSLA Embedded is pleased to announce a new hardware, iSCADA device is a embedded board for industrial application that runs on embedded linux. This product is designed to serve clients in the fields of automotive, telecom, medical, remote automation, and industrial control. we provides clients with hardware that meets most of industrial requirements. Anchored by TI’s ARM cortex-A8 CPU 1-Ghz processor, sitara processor SCADA is integrated with the following on board: RS232/serial interface (2), RS485 interface (2), CAN interface, LTE modem, Wifi, Ethernet, eMMC, SD card, USB (2), 512MB SRAM, 1024K eprom, I2C, SPI, 8 LED’s, 4 switches and 20 GPIO’s. The Beagles are tiny open-hardware (you could make one yourself), open-software computers that plug into whatever you have around the house. Beagles mean big functionality in small packages because these little PCs can be used for all kinds of applications you’ve been tinkering with… and can handle many of the same tasks as your desktop PC. The Beagle family is happiest when helping students to learn programming, hobbyists to push the bounderies of DIY and developers move to production quickly without excess noise, expense or bulk. low-power world with the tiny, affordable, open-source Beagles Linux flavors at your fingertips, the Beagle family revs as high as 1GHz with flexible peripheral interfaces and a proven ecosystem of feature-rich “Cape” plug-in boards. 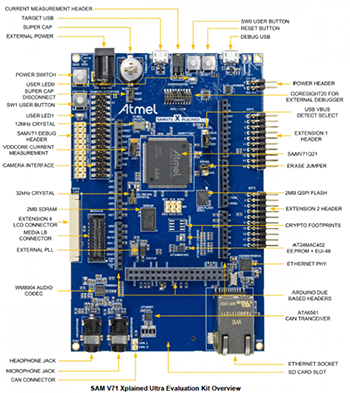 Microchip SAM4E-EK Evaluation Board is an evaluation kit for the rapid development of the Microchip SAM4E microcontroller. 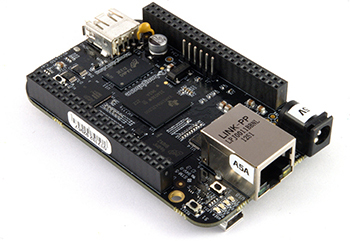 It is based on the integration of an ARM®Cortex®-M4 processor with on-board NAND Flash and a set of popular peripherals. 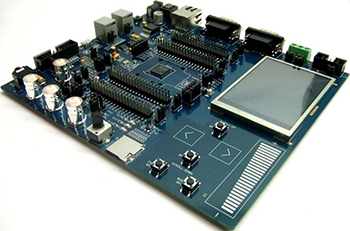 This evaluation board is designed to provide a high performance processor evaluation solution with high flexibility for various kinds of applications. 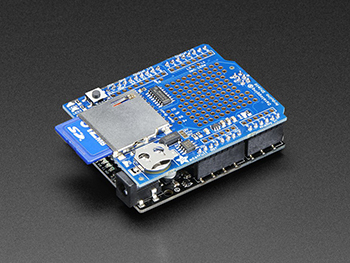 Here’s a handy Arduino shield: we’ve had a lot of people looking for a dedicated and well-designed data logging shield. We worked hard to engineer an inexpensive but well-rounded design. Not only is it easy to assemble and customize, it also comes with great documentation and libraries. Our latest version of this popular shield has all the features of the popular original, and is “R3” compatible so you can use it with just about any Arduino or compatible. You can be up and running with it in less than 15 minutes – saving data to files on any FAT16 or FAT32 formatted SD card, to be read by any plotting, spreadsheet or analysis program. We even have a tutorial on how to use two free software programs to plot your data The included RTC (Real Time Clock) can be used to timestamp all your data with the current time, so that you know precisely what happened when! Please note that this item does not come with an Arduino (you’ll need one to use with the shield), SD card or coin cell battery! The shield comes with all the components soldered on and tested but does not have headers installed. You’ll need some basic soldering skills to put it together, but even if you don’t have much experience you can get it done in under 15 minutes.